I am highly trained and have a deep knowledge of energy psychology, which is a mind-body approach that focuses on the relationship between bioenergy systems, neuro and electro physiological processes, as well as thoughts, emotions, sensations and behavior. 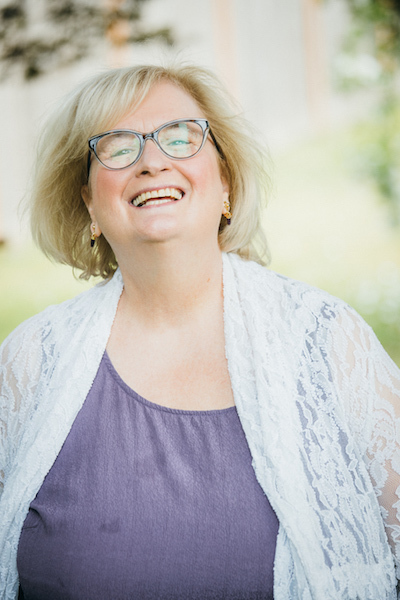 Even though I have a rich background in healing and improving overall functioning, first and foremost, my priority is becoming an expert in your needs, interests and goals. Even though I am an expert in energy psychology and energy medicine, many of my clients prefer more traditional therapy and coaching models. Although I am highly trained in a variety of therapy and coaching modalities, our work is collaborative and hinges entirely on your goals, comfortability and willingness to engage in the healing process. My greatest interest is discovering what works best for you. Oftentimes, people believe therapy and life coaching involves major shifts in behavior and perspective. Although I believe in the old adage—trying the same thing over and over and expecting a different result is insanity—in therapy and coaching, we consider incremental changes. Step by step, and at a pace that works for you, we can examine and utilize your resources and inner strengths in order to lay the groundwork to a more fulfilling existence. My coaching and therapeutic work is very relationship oriented. I think we all become who we are through interpersonal relationships. Your interplay with others is how you form basic beliefs about yourself, your immediate community and the world around you. As such, much of our work focuses on strengthening your valuable relationships, including the relationship you have with yourself. My relationship dynamic with clients is like that of a facilitator. Although our sessions together will emphasize, in part, processing your pain, our dynamic doesn’t need to be serious, boring or daunting. Many clients remark on my humor and easy-going nature, empathy, creative problem-solving skills, as well as my depth of knowledge. Working with me, you can expect to explore concerns with compassion. You can also expect me to be honest with you. If you’re looking for me to simply “fix” you, you’ve come to the wrong place. I’m here to work alongside and deeply examine and challenge unhelpful patterns that are ingrained in your conscious and subconscious. I won’t “fix” you, but I can equip you with the necessary tools to find relief on your own, now and in the future. And, I don’t simply listen to your concerns. I seek to provide you with real-world advice that allows you to address issues head on. I don’t believe that life is lived in a therapy room. Ultimately, I seek to empower you to take action and receive more of what you want in your day-to-day life. I offer several different options for meeting. My main office is located in downtown Bellevue and my Issaquah office is home based. And, I offer secure online therapy for clients who have hectic schedules or struggle to leave the house. I prefer to speak face to face, but when requested, I can also work over the phone. Regardless of where we meet, it’s my aim to listen intently and truly understand your experience and perspective, and provide you with real-world options. Life has its ups and downs, and in the midst of those fluctuations, there often aren’t “right” or “wrong” answers. There are times when we all truly need help and support to navigate difficult challenges and choices. No one chooses to struggle, and seeking help is often the wisest choice. With the right guidance, it’s possible to process difficult feelings, become curious about the unknown and experience profound relief and liberation. If you are suffering from relationship issues, trauma, stress or anxiety or are seeking a life, couples’ or business coach, I invite you to contact me or call (425) 681-1170 for a free 15-minute consultation. My offices are located in Bellevue and Issaquah, WA. I also offer online therapy and coaching sessions.